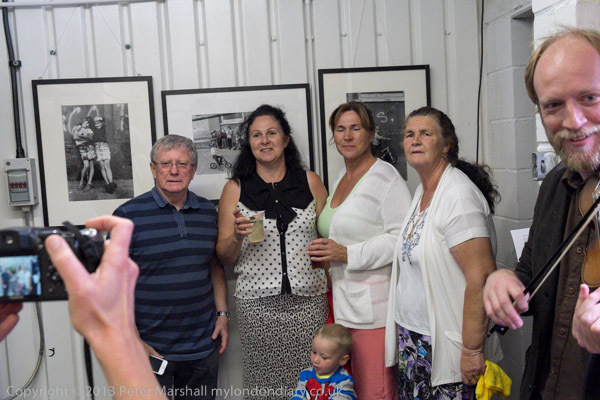 Yesterday I went to the launch party for Colin O’Brien‘s book, ‘Travellers’ Children in London Fields‘, the result of a chance encounter in 1987, when he was photographing a deserted warehouse on the edge of London Fields in Hackney. A group of largely Irish travellers had parked their caravans here on the derelict streets. Back in those days kids would often come up to photographers on the streets and say ‘Take me picture Mister‘ whenever you photographed in areas like this, and in those days the main concern was the cost of the film. O’Brien realised the opportunity, got to know the families involved and gained their confidence, in part by giving them Polaroids of their kids, and over a period of around 3 weeks he went back and took more portraits, building up a great series of images of the children, largely posed images against a particular short stretch of the wall of a building. Then one day he went back and the caravans and children were gone and his project was at an end. You can see some of these pictures on O’Brien’s web site – or at the Independent – along with much of his other work, but the book ‘Travellers’ Children in London Fields‘ ISBN 978-0-9576569-0-1 presents a good collection of them (you can get a signed copy from Spitalfields Life), where you can also see some fine images that there wasn’t space for in the book, as well as several other posts about this and other work by O’Brien, from his first pictures taken as a young boy outside his Clerkenwell home in 1948 with a box camera to recent work, a remarkable 65 years of photography. The book is a fine start to Spitalfields Life Books as a publisher, and look forward to seeing further volumes from them. It’s a nicely designed small book edited by ‘The Gentle Author‘ of Spitalfields Life and printed locally at The Aldgate Press, and at the reasonable price of only £10. 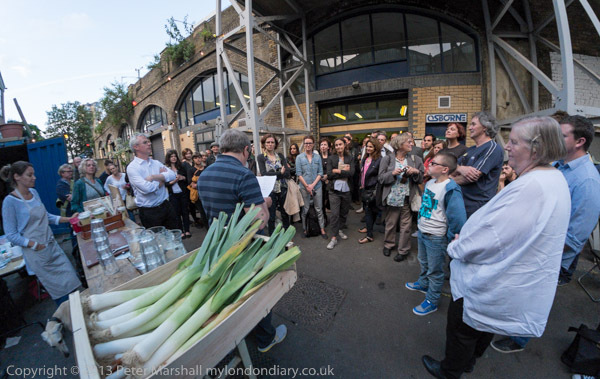 The book launch was at the E5 Bakehouse in the arches underneath London Fields Station, only 50 yards from where the pictures were taken, and there were a number of the travellers who were photographed 26 years ago along with others from the family at the event. After we had finished the barrel of another local product, Trumans Beer (from the new Truman’s brewery in Hackney Wick), and Colin had made his speech, he led us the short walk to the wall where he had made these images. I hadn’t gone to the event with the intention of taking photographs, but I seldom go further than the local shops without a camera, and I’d taken a few pictures on my way to the event. I wasn’t entirely happy with the performance of the Fuji X-E1, which didn’t always want to take pictures when I wanted it too, and despite some published reviews and tests, the image quality in relatively low light does not seem in the same league as the Nikons. 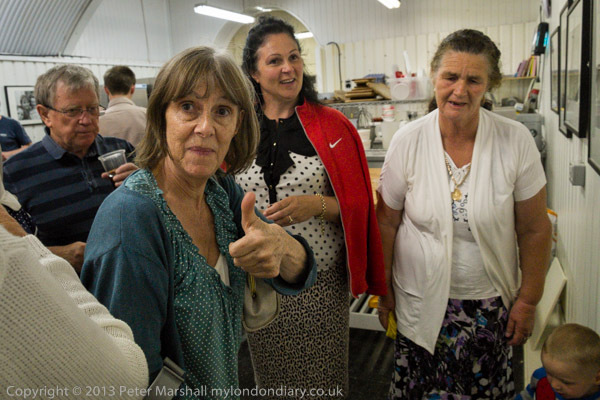 I’ll put some more images from the event into my photographic diary, My London Diary, in due course. All photographs on this and my other sites, unless otherwise stated are by Peter Marshall and are available for reproduction or can be bought as prints. This entry was posted on Thursday, July 4th, 2013 at 09:52 am and is filed under My Own Work, Photographers. You can follow any responses to this entry through the RSS 2.0 feed. You can leave a response, or trackback from your own site.